This free coloring page is based on Psalm 139:14. It would be useful for teaching about how God has created each of us unique and wonderful to Him. 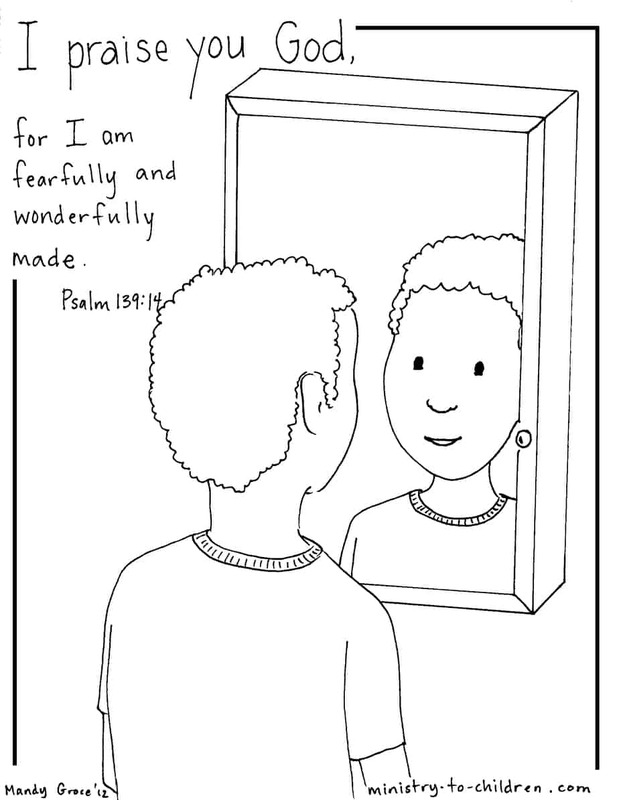 You could also include this printable in any lesson about how God made humans in his image. We also have a girl version of this illustration. Click on the preview image above to download this coloring pages in print-friendly PDF format. We’ve also uploaded a JPEG version for any advanced users who would like to customize the image on their own. This is just one of the many free printables for children’s ministry on our website based on Bible memory verses. Tony Kummer (Editor) reviewed & updated this page on : October 9, 2012 at 9:26 am. All our content is peer reviewed by our readers, simply leave a comment on any post suggest an update.